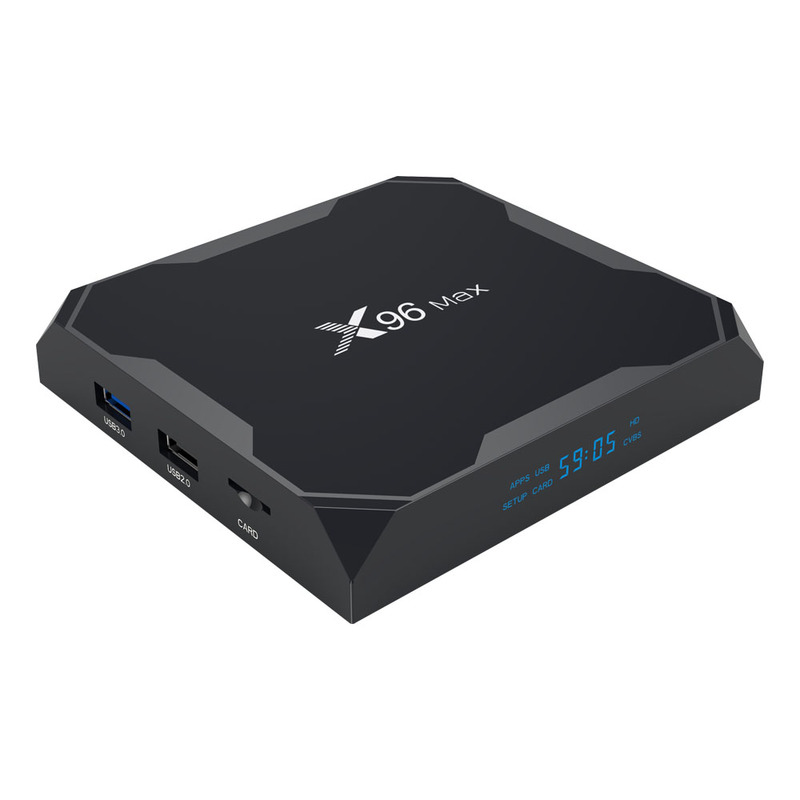 Successfully Added X96 Max Android 8.1 Amlogic 4GB RAM 64GB ROM TV BOX - UK Plug (No Wall Hanging) to your Shopping Cart. Amlogic Video Engine (AVE) with dedicated hardware decoders and encoders. Support multi-video decoder up to 4Kx2K@60fps+1x1080P@60fps. Supports MP3, AAC, WMA, RM, FLAC, Ogg and programmable with 7.1/5.1 down-mixing. Built-in serial digital audio SPDIF/IEC958 input/output and PCM input/output. Supports concurrent dual audio stereo channel output with combination of analog+PCM or I2S+PCM. Online:Browse all video websites,supportNetflix,Hulu,Flixster,Youtube, etc. Apps:Apps download freely form android market,amazon app store etc. Medium:Local Media playback,Support HDD,U Disck,TF Card. Talk online:Support SKYPE videocall, MSN, facebook, twitter, QQ,etc.